Chronological Snobbery: Boomtube - The Ultimate Collection? 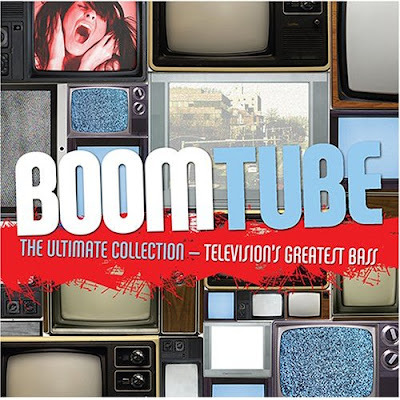 Behold: Boom Tube: The Ultimate Collection: Television's Greatest Bass. I'm not certain how a record can purport to be an ultimate collection when the artist is uncertain, the genre is ill defined, and the recordings offered are bass-infused covers of television theme songs. But if you're looking for a compilation featuring such tunes as "American Idol Theme (Evil House Mix)" and "I Dream of Jeannie Theme (Jeannie in My Woofer Box)," then this is the set for you. My personal favorite: "Battlestar Galactica Theme (BattleBass Galactica)." No Dr. Who?